I’m a geek, and I like geeky tools. One of my favorite things to do is look up on Google Maps places that come up in search for ancestors. I wrote yesterday about The Pucket family and specifically my 2nd great grandmother Lizzie Pucket. The picture below is a current “street map” view of the street where she lived and worked as a cook. I often scope out places where folks used to live as listed on the census. My fourth great-grandfather was a man named Adam Ader. In the early 1800s, he was an early settler in North Carolina and owned a large plantation. 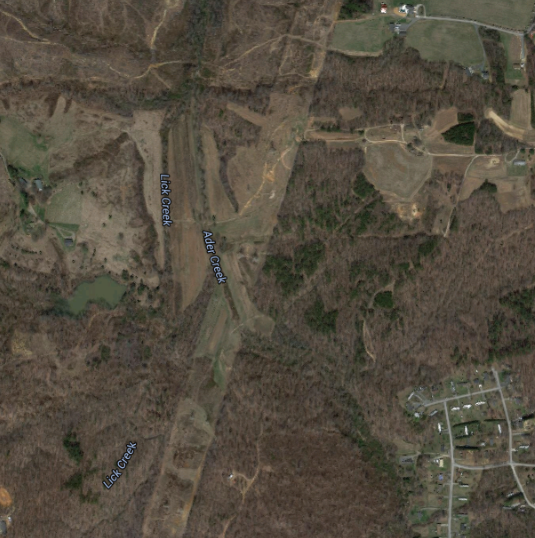 There is a creek near Watertown, NC called Ader Creek that used to run through his plantation. It’s not a very large creek and looks pretty dry, but it’s pretty cool to see on a map.